Reading this on your phone??? There’s a very good chance that your neck is bent forward and down as you look at the screen. 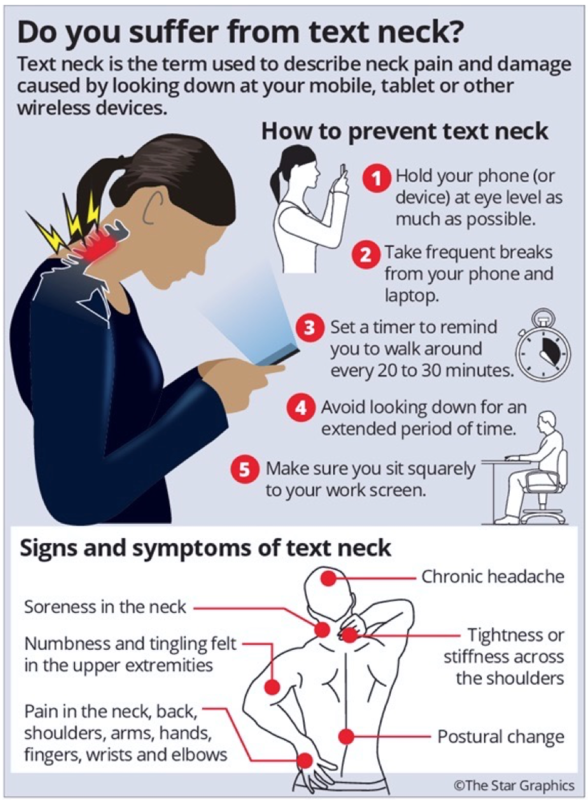 “Text neck” is the term used by Chiropractors, Medical Doctors, Physiotherapists, and Specialists across the globe to describe the painful postural syndrome whereby the neck is strained by constantly looking down at one’s phone. 84% of people worldwide are addicted to smartphones and 81% of smartphone users have their mobile phone switched on all of the time even when they are in bed or in the bathroom (1). According to research published in the National Library of Medicine, the average person spends 2-4 hrs per day with their neck bent in this unnatural forward position. For teenagers, this increases to six to eight hours per day! 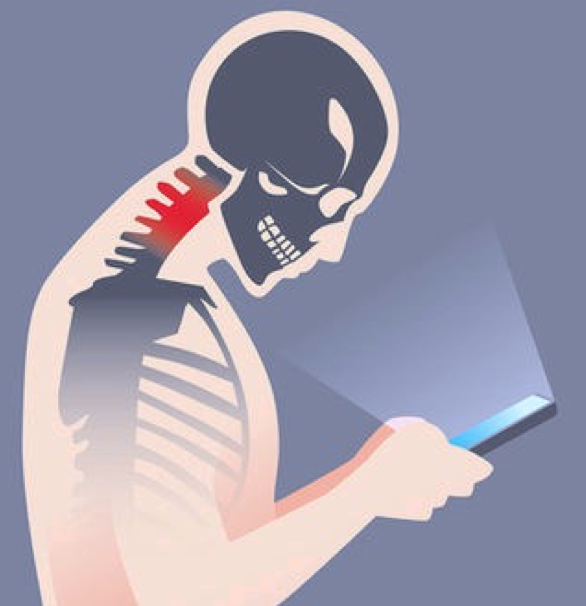 In addition to headaches, neck and back pain, text neck and poor posture have also been linked to digestive problems, a reduction in lung capacity by up to 30 percent, and the increased risk of heart disease and neurological issues (2). Make an active effort to use your phone more productively (limit games). 2. Hansraj. KK (2014) Assessment of stresses in the cervical spine caused by posture and position of the headSee comment in PubMed Commons belowSurgical Technology Int. Nov; 25:277-9.